India is not all about batting any more. The bowlers are surely making the ball talk! Enough has been said about India’s batting strength. The batting prowess of the likes of Rohit Sharma, Shikhar Dhawan and Virat Kohli has always been the topic of discussion before any match up. 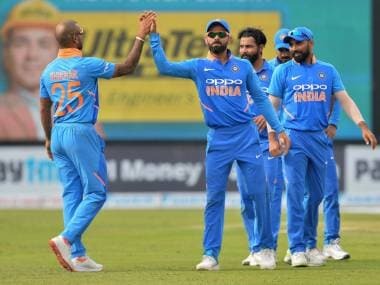 The focus had always been on how India relies heavily on their top three to do well in order to give the bowlers a chance to defend the score. Most of the times, India preferred chasing a total owing to their supreme batting strength and depth. However, things have changed now. Bowling is not India’s Achilles'’ Heel anymore, at least in the shorter formats. The last two ODIs against Australia have confirmed the fact once again. It was the Indian bowlers and not the Indian batsmen who won the match for India. On both occasions, India had been restricted to scores below 300. 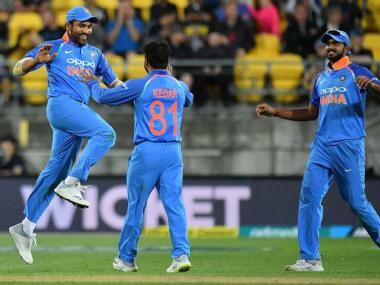 A late order resurgence by Hardik Pandya, MS Dhoni and Bhuvneshwar Kumar in the first ODI saw India post a total of 281/7 after losing half of their side for less than hundred runs. The Australian innings got reduced to 21 overs due to rain and they were required to chase down 164 runs. A chase of 160 odd runs is never tough in T20 cricket. Yet, Australia faltered as they could manage only 137/9 in their stipulated 21 overs. And all that was due to a superb bowling effort by the Indian bowlers. Bhuvneshwar and Jasprit Bumrah were exceptional as usual picking up 2-45 between them in eight overs. Pandya showed his mettle as well claiming 2-28 in 4 overs whereas the spinners in Kuldeep Yadav and Yuzvendra Chahal did the most damage. They picked up the crucial wickets and accounted for 5-63 in 9 overs between them. Kudeep and Chahal’s inclusion in the playing XI has certainly given India a wicket-taking edge in recent times. In the second ODI, a total of 253 runs is something that batsmen chase down with utmost ease these days. However, a superb Indian bowling unit made it impossible for Australia once again. 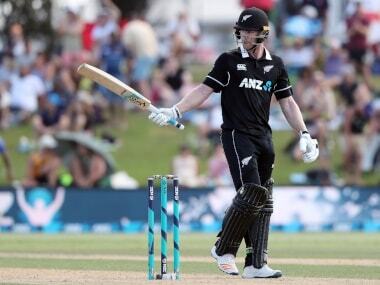 It started with Bhuvneshwar’s devastating opening spell that saw both the Aussie openers, Hilton Cartwright and David Warner, going back to the pavilion leaving Australia reeling at 9/2. 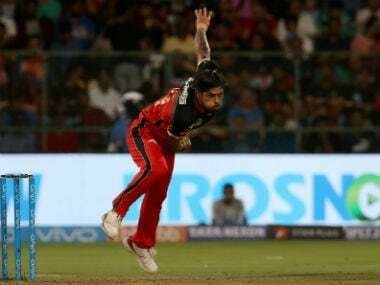 And it continued with Chahal’s impressive showing in the middle overs that fetched the wickets of Travis Head and Glenn Maxwell. 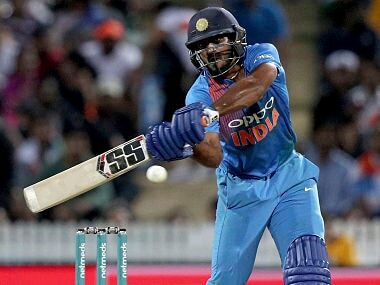 Pandya also chipped in with the crucial wickets of Steve Smith and Nathan Coulter-Nile after leaking a few runs during his initial overs. But, they showed their real bowling power when Kuldeep claimed that scintillating hat-trick to demolish all of Australia’s hopes of winning the match. This seems to be the perfect limited overs bowling combination for India at the moment. Bhuvneshwar and Bumrah have done very well for India during the past one year. Their versatility has given India the edge in their pace bowling unit that had been never seen before. Umesh Yadav and Mohammad Shami did have pace and swing but lacked the death bowling skills like Bhuvneshwar and Bumrah. Moreover, the present pace bowling duo is more consistent in every respect than Shami and Umesh who lacked accuracy, consistency and variations in their bowling. Pandya has been the most valuable addition to the squad as he has shown equally good batting and bowling skills. He is improving on his bowling day by day and has been adding new weapons to his bowling arsenal. The knuckle ball is the most recent addition. He has improved his line and length as well. However, the most welcome move that has been made in the most recent times has been replacing Ravichandran Ashwin and Ravindra Jadeja in the squad who had been anything but impressive in the past couple of years in limited overs cricket. 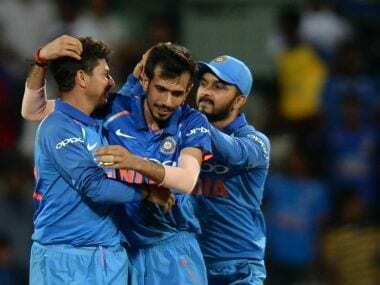 Kuldeep and Chahal have excelled in their roles so far in the series against Sri Lanka and now against Australia as well. Fielding two quality wrist spinners has given India an edge like never before. They have an X-factor and an ability to turn the course of the match from any position. It is only recently, that the Indian bowlers are showing such supreme ability. However, a glimpse of their potential was visible when they won a group stage encounter against Bangladesh in the 2016 World T20 by just a solitary run and that too defending a low total. Kuldeep and Chahal were not even selected to play for India back then. Yet they won the match owing to some superb death bowling by Bumrah and a superb last over from Pandya. Their abilities are just coming a full circle now as they have finally found the perfect balance and mix in the bowling unit. With two wrist spinners India would always back themselves to defend any total. In Bhuvneshwar and Bumrah, they have the perfect foil to control the initial and death overs. And in Pandya, they have the surprise factor. Last but not the least, Kedar Jadhav has also made a reputation for himself as a partnership breaker and can chip in with crucial wickets at any stage of the match. However, India's new bowling line-up is yet to be tested in other conditions. But, the signs are promising. Moreover, India have never won low scoring matches one after another so easily even at home on previous occasions. So, credit has to be given to the bowlers the way they have performed. So, the Indian team is not all about batting any more. The bowlers are surely making the ball talk!